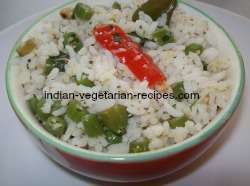 This is a simple one among fried rice recipes. It is a quick one too. If you already have plain rice ready ( may use leftover plain rice), you can make this stir fried rice recipe in minutes. This vegetable fried rice is healthy as you retain all the goodness of the vegetables by cooking them for a short time on high flame. That is, you do not overcook them and lose the nutrients such as the vitamins. The vegetables taste great too. They are cooked inside but crunchy outside. Once you know the fried rice recipe, you can make your own variations too. Add the vegetables you like or have in your pantry or omit the ones that you don't like or don't have. You can make your own favorite variety of rice too. 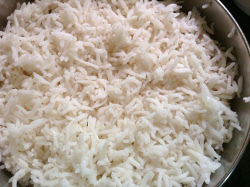 long grain or short grain rice, white or brown rice. 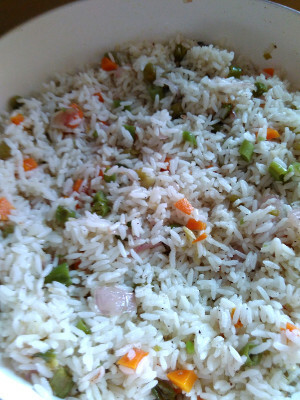 For this fried rice recipe, you can use a mixture of your favorite vegetables such as onions, beans, carrots, peas, capsicum, cabbage, cauliflower etc. Cut all the vegetables in thin strips/fingers/juliennes. Cut them of the same size too. The dish looks very inviting too with all those colorful vegetables. You do not need all the above mentioned vegetables every time. You can use 3-4 of them at a time. I like to use cabbage, onions, carrots and capsicums and that is what I am using in the recipe below. Ingredients for fried rice recipe for 3 servings. 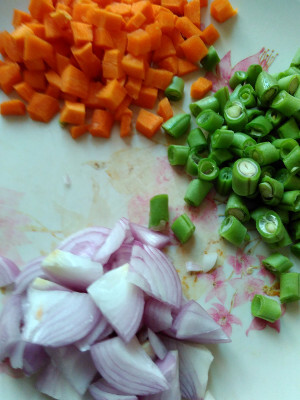 mixed vegetables, chopped - 2 cups , beans, carrots, onion, cabbage, capsicum, peas, baby corn, mushrooms etc. 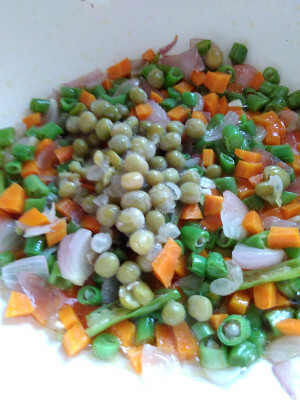 I am using beans, carrots, onion and peas. Cook rice according to the instructions given here. Wash and cook the rice as per instructions given here, how to cook plain rice. 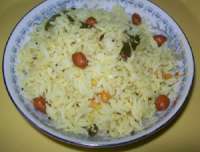 Cook the rice till just done, it should not be very soft. Cool completely. 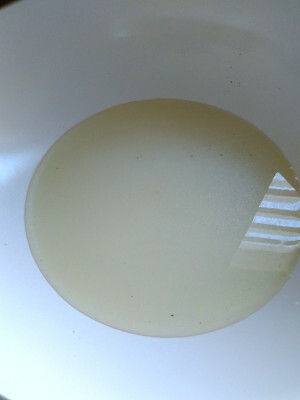 Heat oil in a wok. Keep the flame medium high. 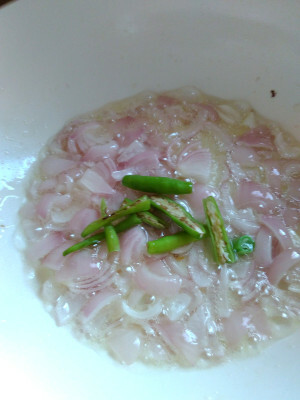 Add onions. Stir for 1 minute. Then add slit green chilies(optional). Stir for 2-3 minutes. Add ginger and garlic. Stir. 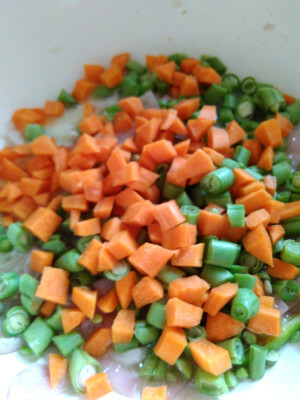 Add beans, carrots. 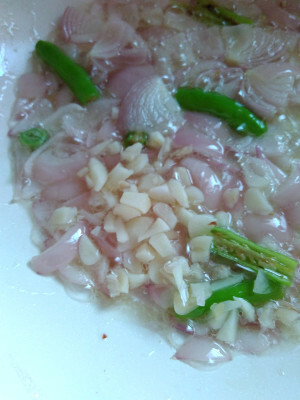 Stir and cook for 2-3 minutes. Add the soy sauce and vinegar. Mix well. 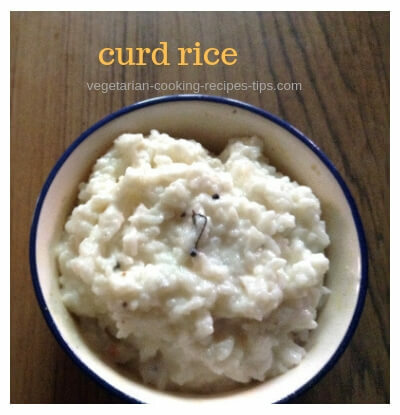 Add the cooked rice, black pepper powder and salt to taste and mix well. 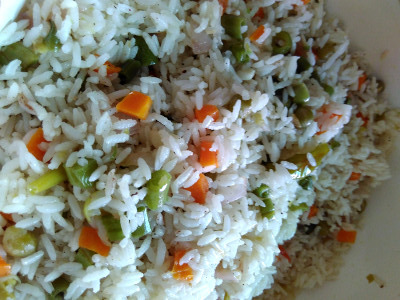 Vegetable fried rice is ready to Serve. Serve hot or at room temperature. Serve it with a salad of your choice. 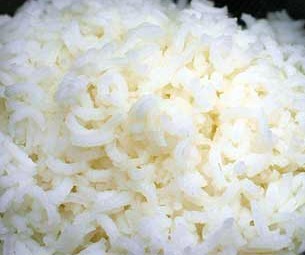 The cooked rice should not be very soft. Each grain should be separate. Cool cooked rice before adding to the cooked vegetable mix in the pan. If you add hot rice, it will get mushy. You can make it a spicy fried rice if you like by adding more pepper powder and red chili powder. Add more vinegar or soya sauce if you prefer that.